No longer simply for practicality, men’s bags have become an important part of your overall look. Your bag says a lot about you: where you’re going, what you’re doing, your personality and your style. So if a bag says all of that about you, you better find a bag that you love! 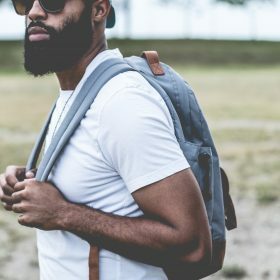 Whether you’re going on a trip and need a backpack, a suitcase or a bigger travel bag, or you simply need a new wallet because your older one is falling apart.. browse through this category to find your new bag today.